When I first look at Ethernet cables, I never thought of them being a culprit in a bad situation. Now that I have had a chance to work in IT for a number of years, I never take them for granted. 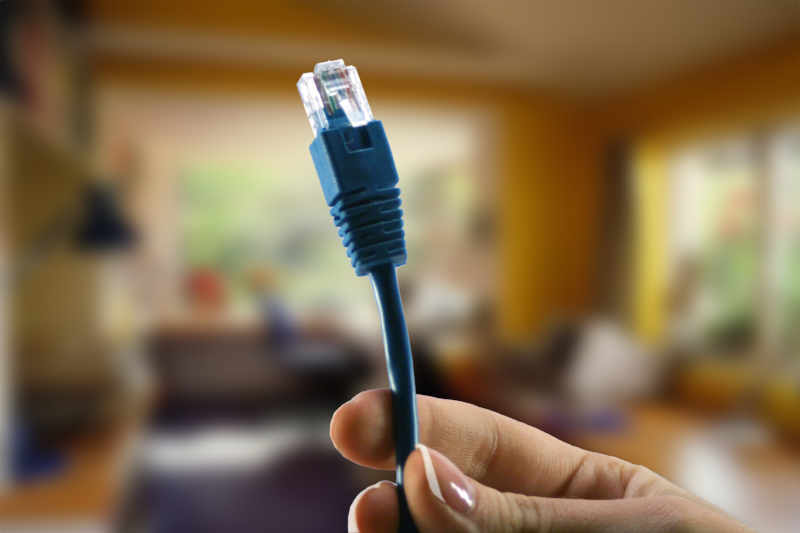 An Ethernet cable is probably one of the most common form of networking cable around. Before it came 10baseT, now there is also fiber, and also wireless should be thrown in the mix for all the things that can connect networks. The Ethernet cable is the most prevalent and comes in many sizes and types. These are physical items so there are limitations. Both distance and reliability are the reason for the multitude of different options on the same Ethernet setup. The most recent industry standard is category 6. This came after 3, 4, and 5 and they are refered by technicians as Cat3 or Cat5 cables. Cat3 cables are usually used for phone applications. A single Cat6 cable can be 700 feet long, but a Cat5 cable only up to 324 feet. This is all in perfect conditions though. You really want to be a safe distance less than that. These cables have to connect to hardware and the connectors that are used are commonly known as RJ45 connectors. They are usually clear, made of plastic, and have a top clip that keeps the cable secured in place. There are different types that can accommodate a stranded or solid cable so make sure that you pay attention to the type of cable to ensure that you get the right connector. As I was replacing a computer at a company recently, I had to do some quick troubleshooting. I had been testing out a new machine for a company and it was unique in that they needed the speed from a newer computer, but had older programs that had to work. These programs simply would not work in the Win10 environment at all so I was using VirtualBox to fix it. <p>Then I peered very closely at the cable. I made those so I felt very comfortable with it, AND it was working the night before. I noticed something though. Sure enough, these connectors were the push through kind that you cut off instead of do a straight cut and then insert. A single wire had folded over and SOMEHOW worn away enough to allow for the computer to be used for months, but when I went to install a new computer, it did not connect. So I luckily saw it, pulled it off, and the computer connected up great. So my lesson learned was to take great care when making those cables, but also to troubleshoot carefully to ensure that you don’t do any extra work that may be unnecessary. Cables cannot be overlooked.